In 2010, after years of obscurity, Brotha Lynch Hung returned to the spotlight under Tech N9ne’s Strange Music imprint and launched one of the most innovative storylines in hip hop. The Coathanga Strangla saga, the story of a rapper turned cannibal killer, would stretch over three full-length albums and include various music videos that served as pieces to a larger short film meant to accompany Lynch’s narrative. With the seeds planted from the minute Lynch signed on with the Snake and Bat, the Coathanga Strangla saga now comes to its dramatic close as Brotha Lynch Hung preps the final chapter, Mannibalector. But one question remains – how will Brotha Lynch Hung end his cinematic trilogy? 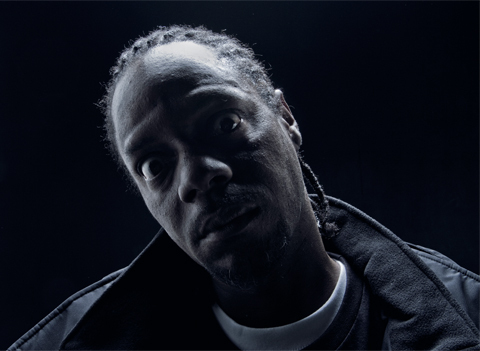 Brotha Lynch Hung’s love for cinema influenced the emcee to intertwine the world of music and film, beginning with Dinner And A Movie in 2010. Held together as one complete story, Dinner And A Movie chronicles the Coathanga Strangla’s bloody rampage as police do their best to solve the murders. An introduction to listeners, Dinner And A Movie set the tone with its skit-heavy format, something that its follow-up, Coathanga Strangla, deviated from slightly. Focused a bit more on Lynch’s hip hop skills, the sequel refreshed the storyline by showcasing the lyricism that first gained the Sac-town Cannibal cult-like status. Desperate and backed into a corner, the killer grew more and more dangerous throughout Coathanga Strangla. Facing his end and undoubtedly going out on his own terms, how does Lynch’s cannibalistic monster leave his mark? Here, the story must not only succeed in driving the character mad, but also in leading the audience into an ending worthy of three albums. In short, simply killing off the Coathanga Strangla isn’t enough. Lynch faces the challenge of delivering the perfect end. Scheduled for February 5th, Mannibalector will not only close Brotha Lynch Hung’s three -album saga, but it will also close one of the most ambitious concepts in the history of hip hop. What comes next for Lynch remains to be seen, but for now, the man behind the mask promises to shock fans all over again. What do you think Brotha Lynch Hung will do with his main character?